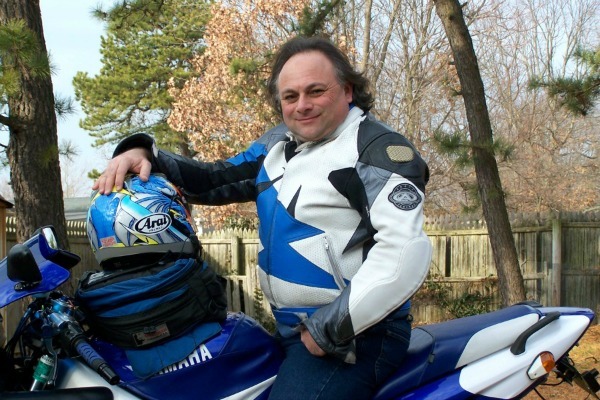 Ralph L. Angelo Jr. has written for major motorcycle magazines such as 'Backroads Motorcycle Touring Magazine' as well as written fantasy, Sword and Sorcery and Sci-Fi novels like' Redemption of the Sorcerer, The Crystalon Sage, Book One', 'Torahg the Warrior: Sword of vengeance', and 'The Cagliostro Chronicles' Ralph has been an avid motorcyclist , skier and guitar player in his lifetime as well as a life long writer who has finally seen his writings published which had been a lifelong dream. Now Mark Johnson, a brilliant scientist and engineer, will lead a handpicked crew of adventurers into the unknown. Where they will discover the truth about the secrets of the much larger universe and the myriad dangers it holds. Now, in a race against time, if the crew of the Cagliostro cannot unravel the depths of the mystery, conspiracy and danger that surround the earth like a closing claw of evil, mankind itself will not survive! Join with us for the inaugural voyage of the star cruiser Cagliostro as its crew begins to unravel a conspiracy that will take it beyond the furthest star and into the very heart of adventure! 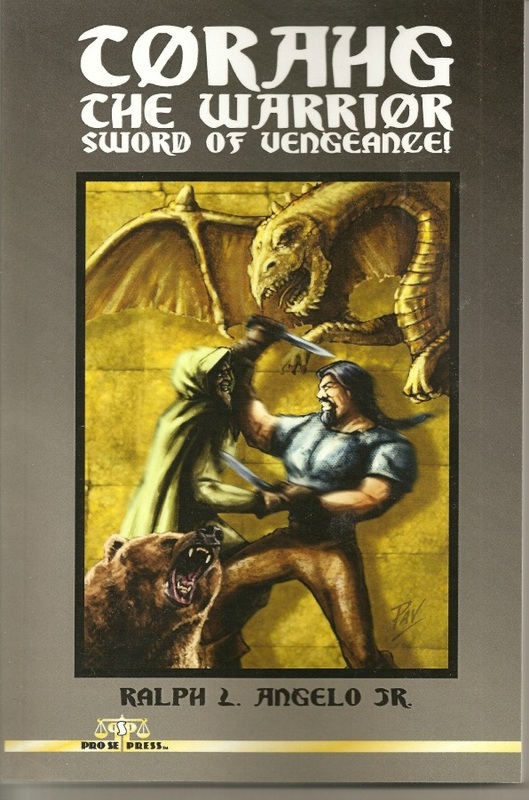 'Torahg the Warrior- Sword of Vengeance!' has arrived! In a pre-historic, time-lost land of savages, monsters and black mysticism, the exiled son of a slaughtered King seeks vengeance upon the evil men who killed his father and drove him along with his mentor from his father's kingdom. Making matters worse, one of those evil men is his own brother! Redemption of the Sorcerer is the story of a powerful sorcerer who took his exceptional existence for granted after many years of life and power. He became jaded and somewhat tyrannical to the universe he ruled, originally in benevolence, and then so much less as the years passed. eventually Crystalon was overthrown and sent to a parallel universe as a powerless pauper. This is where our grand adventure begins! Once there, Crystalon almost immediately becomes embroiled in a desperate battle to save both universes from an evil force seeking to enslave them both! 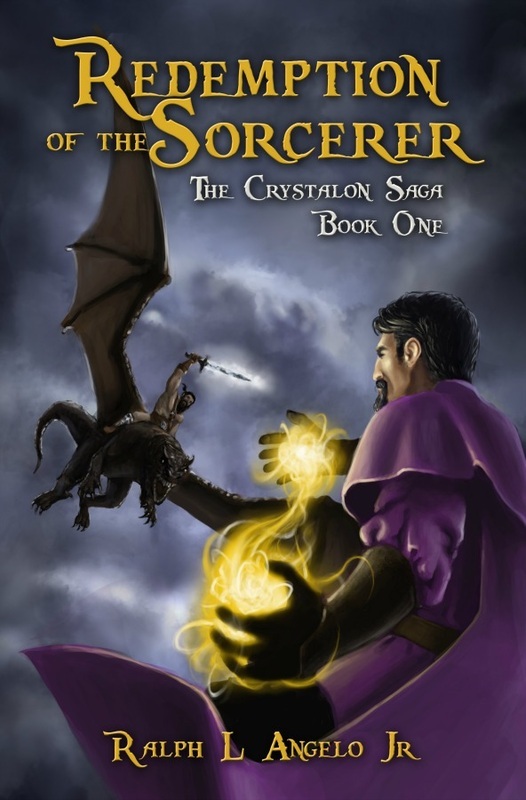 Will the once mighty sorcerer see past his own selfishness and failures in time to save both worlds from a threat that will destroy everything it tiouches? Will Cryswtalon regain his powers in time to save both worlds? Will Crystalon even care to? It has been two years since Crystalon defeated the mad warlord Maceyis. Much has changed in that time. Crystalon has become his adopted world’s hidden mystic guardian, protecting the Earth from those who would threaten it with evil, sorcerous intent. Until a visitor from his past, one he never expected to see again would appear within his very home. Now he and his companions must travel between worlds to his home dimension, a universe where he is hated and feared, to face a threat that dwarfs any challenge he has ever faced before. The challenge of an enemy who wears his very face. The challenge of 'My Enemy, Myself'. In this new volume, Mr. Angelo shows us the universe Crystalon was from in depth. A universe that is so very different from our own. It is a universe where magic is the norm and all depends upon it, not science. 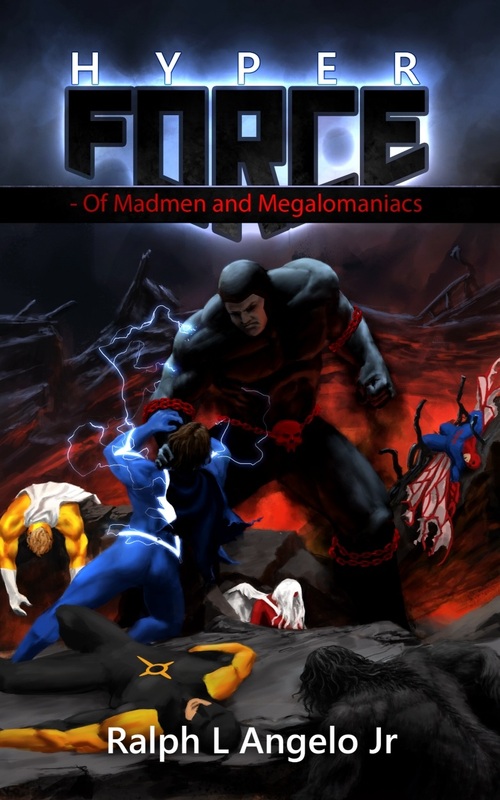 It is a universe where mankind has long since reached its outer reaches through ships powered by magic or by magical teleportation and it is a universe that hates and fears Crystalon, now more than ever with the sins his double has perpetrated upon the citizens of this universe. Can the mighty sorcerer and his companions survive long enough to wrest control of this entire reality from a madman who would do anything to maintain his power? Even enter into pacts with the devil? 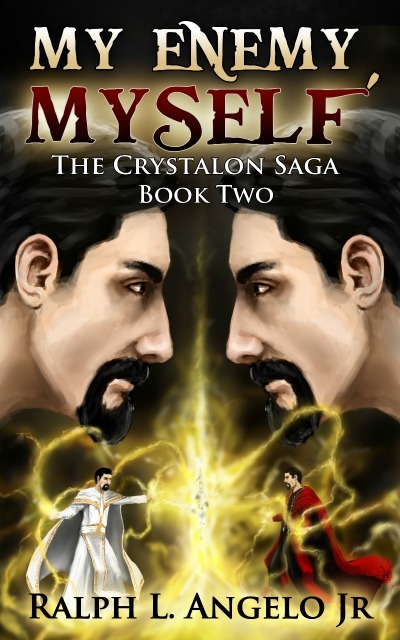 Find out within the exciting pages of ‘My Enemy, Myself, The Crystalon Saga, Book Two’. "Help They're all out to get me!" Is a book created to make the new, and even the not so new motorcyclist a better motorcyclist. Between these covers you will find tips and tricks that make surviving the everyday world for the everyday rider a much easier proposition. Inside you'll find everything you need to get yourself out on the road safely as well a confidently, with recommendations for just about every conceivable occurrence that can plague you, both on the open road, as well as right outside your door. This book will teach you, or refresh your memory on the little things one needs to know about motorcycling, as well as the large. Everything is covered here from putting down your kickstand to accident management in a group ride situation. "Help! They're all out to get me! 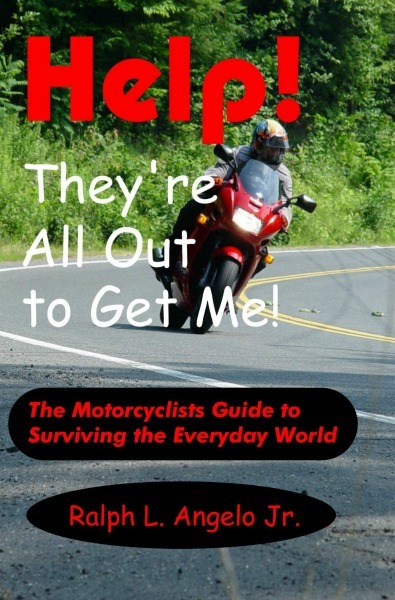 The motorcyclists guide to surviving the everyday world." Is truly one specialized tool that should be in every rider's toolkit! Halloween novella filled with monsters and terror as a small town fights not only for its life but that of the entire world. 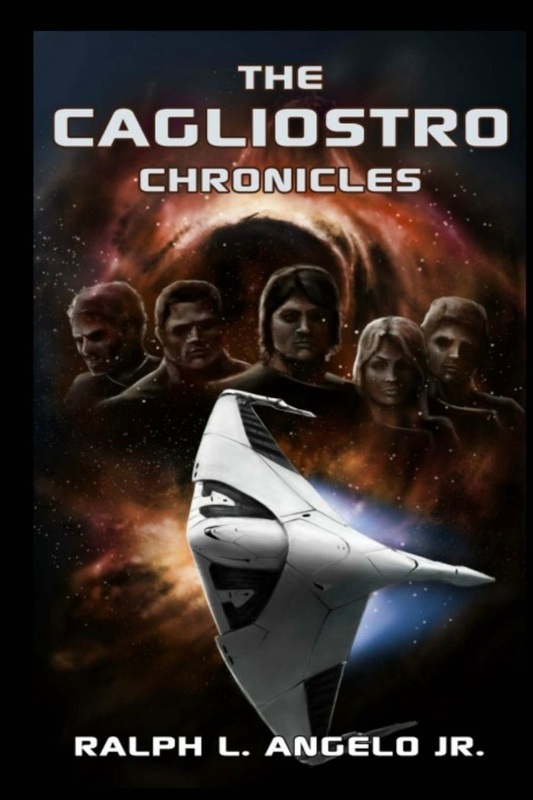 From Ralph L. Angelo Jr., the winner of the 2014 New Pulp Award for Best New Author comes the second volume in the ongoing adventure that is The Cagliostro Chronicles! After a deadly battle against Agalum star fighters, the Cagliostro must land on an unknown world for repairs. But once there the crew quickly discovers far greater dangers awaiting them. Monsters fill the thick jungle about them as well as the prehistoric natives. But there is something else lurking there as well. Something decidedly intelligent and filled with malevolence. But the greatest danger of all lies hidden in plain sight on this strange planet, a danger that could spell disaster for all of mankind. Join Mark Johnson and the crew of the Cagliostro on their greatest adventure yet amongst the stars! Every great adventure must begin somewhere; Hyperforce’s begins here! When a young alien prince crash lands on earth seeking help against a terrible enemy, he sets into motion a chain of events that will bring together the greatest champions the world has ever known. Those heroes must band together and battle enemies no normally powered man could ever hope to face. ‘Hyperforce’ is the first great adventure of a new generation of super-powered heroes! 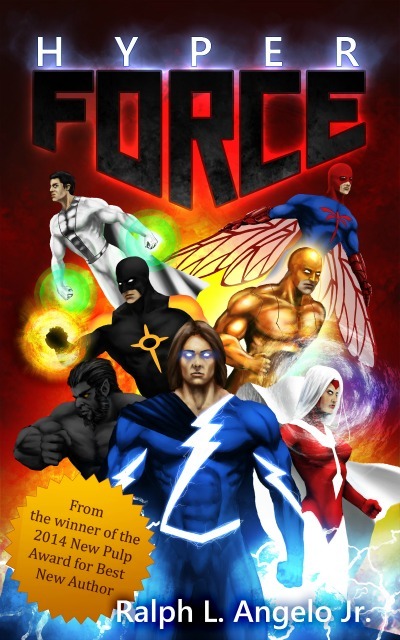 Join Captain Power, Solaron, Dragonfly, Starbolt, Silver Shadow, Creature and Stryker on their first adventures together, as they face threats from across the world to the depths of the Earth itself and then from beyond the farthest star! Hyperforce, a mighty team of Super-heroes have done a lot in their first year together. Among them, they battled an intergalactic menace and one from the earths core. But now things are going to get really tough for the team of super adventurers. A menacing enemy has been dogging them for many months and now they have an idea of who it is. But he is not the only threat they must face. A new foe has risen from beneath the sea; one that will try the team to its limits. The War with the evil Agalum rages on, but now there’s a new player in the game. With the Cagliostro embarking on its most dangerous mission yet, a run behind enemy lines to uncover a long hidden cache of weapons designs within the heart of the Agalum Empire, the stakes have never been higher. But now Mark Johnson and his brave crew aboard the Cagliostro must deal with the dreaded threat of the mysterious Tahir Ga’Warum, the interdimensional aliens who have come to our universe seeking conquest and subjugation. The threat has never been greater as the Cagliostro and its crew must first find and secure the information that could turn the war permanently in the Agalum’s favor before their dreaded enemy can decipher it all, and then they must deal with not only the threat the Agalum pose but that of the monstrous Tahir Ga’Warum as well. It’s a race against time for not only Mark Johnson and the crew of the Cagliostro, but for all of Earth itself and the very existence of the human race! 1937, the world on the brink of war. But in the city of Riverburgh, NY forty miles north of Manhattan there was a different kind of war brewing, it was a war of survival for the common man. A war against the gangsters and thugs who ruled the streets and against the corrupt politicians who turned a blind eye to the evil that ran rampant in Riverburgh. In a city where everyone had given up hope and cried to the heavens for a savior, a savior had arrived. But was he heaven sent or a monster from hell? A grim, skull faced being who glowed with a terrible brightness. A monstrous creature who wielded twin .45 caliber pistol's with a deadly and practiced aim, as well as strange and frightening powers that matched his terrible glowing eyes. But would even the terrible Grim Spectre be a match for the forces the gang lord Phylo Zeus unleashed against him? Even if he was, would The Grim Spectre be able to withstand the attacks of the corrupt Mayor and his police force that dogged his every move? Caught between the twin forces of darkness encompassing the small city of Riverburgh, was The Grim Spectre too little, too late? Or can the supernatural avenger somehow defeat his many foes on both sides of the law while caught between the teeth of their vise of greed and corruption? Find out within the pages of the New Pulp adventure, ‘The Grim Spectre.’ by Ralph L. Angelo Jr.